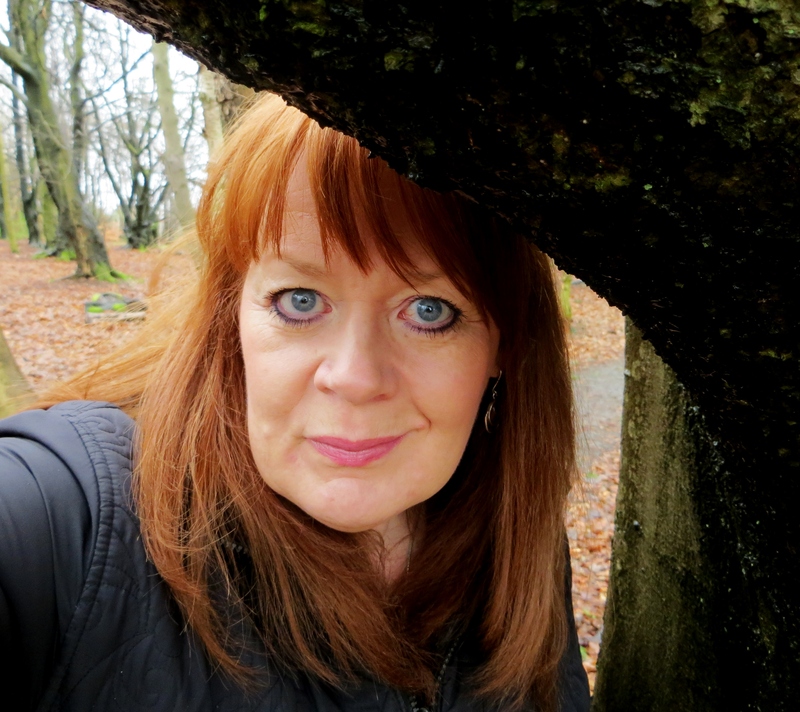 In the late 1990s Carole Bone turned up in my daytime astrology class: red hair, big eyes, bright mind, very eager to learn, fast talker, very hard to keep her quiet. Irrepressible. A great student to teach. Some ten years later, she began, tentatively, showing me her poems: it was obvious that she is a born writer. Carole has kindly agreed to be my first Guest writer of 2014. Here she talks about why poetry is such a special creative medium for her. The next post will feature two of Carole’s recent poems. Carole says: “I was first attracted to writing poetry because I found I could say things in a poem that were difficult to express in other forms of writing. So much can be said within the creative space of a poem to create a unique piece of art that touches the human soul in a way no other form of writing can. Poetry has this limitless, creative magic other forms of writing do not have because it is not bound by the usual constraints and structures of grammar, sentence and context. It is therefore arguably the most creative form of writing. Developing as a poet can be hard work and not as easy as you might think. The freedom of all this amazing creative space can be overwhelming rather than inspirational. 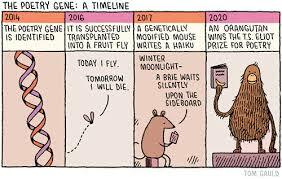 I am reminded of a quote by Gene Fowler – “Writing is easy: All you do is sit staring at a blank sheet of paper until drops of blood form on your forehead”. I think most writers would agree that sometimes it can indeed feel as though blood rather than sweat is shed finding just the right words for a poem. Engaging in writing poetry stretches your abilities as you strive to master the art of showing readers a scene through imagery, creating something that comes alive in the reader’s mind. The challenge is to grab the reader’s heart by appealing to their senses, using words and images that make them feel. That the reader connects emotionally with characters and their plights is essential to generate the visceral response you seek. This is achieved by learning how to use language that evokes emotions without telling readers what they should be feeling, to “Show not tell”. Words must be carefully selected; every single one must be necessary to the poem. The writer must also learn how to be economical with language. The meaning of each word in a poem must be weighed carefully; connotation can mean the difference between a poem with depth and a poem that feels flat. Melody too, has a natural affinity with poetry. Similarly, a well crafted poem flows in meter, rhythm and cadence. A musicality is present in both which can have a physical effect on the listener. Inspiration can flourish from almost anything. An intriguing word, a dream, an image, an experience – your own or someone else’s.The list is endless. The subject can be anything from comic to tragic, fact to fantasy and everything in between. The crafting of a poem as it comes to life, weaving words to create a scene or story, is ultimately highly satisfying. It can even feel as if the poem is growing, taking on a life of its own. The opportunity to develop your skill as a poet is boundless but there is an aspect to writing that I found both unexpected and magical. When I first started to write it was a very private experience, but when I finally shared my efforts I was amazed at how something I had written had perhaps made someone ponder for a moment, smile, shed a tear or simply just enjoy. 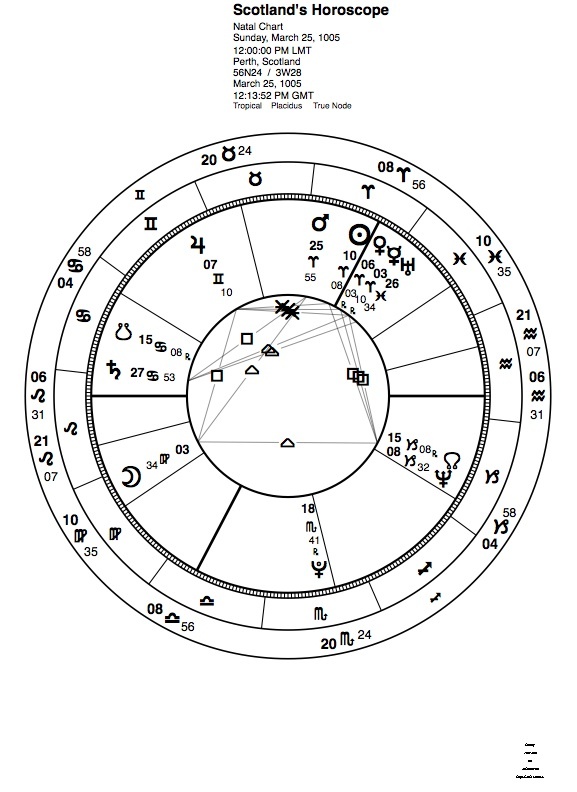 Many consulting astrologers will have had the experience of putting up a client’s chart prior to the consultation, seeing a log jam of several planets in one place, and thinking “Oh no! Why didn’t they choose someone else to read their chart?” If the astrologer, too, has one of those log jams, or stelliums to give them their proper title, that reaction may be amplified. Practitioners do the best they can, with varying degrees of success, to analyse and explain as constructively as possible to clients what their stellium means – but doing so represents quite a challenge for the astrologer’s empathy and skill. Help, however, has arrived from master astrologer and writer Donna Cunningham who draws on her long and deep experience both in astrological and related fields to produce this first ever thorough, in-depth work on stelliums – a very much needed aid for readers of varying levels of astrological knowledge. (if you think it should be ‘stellia’, by the way, check out what Donna says in the footnote on page 15!) Her commitment is to make the book available to everyone with stelliums, not just astrologers or astrology students. It is written with Donna’s signature depth, clarity, humour and compassion. One of her gifts is to be able to be briskly honest and realistic about the most difficult topics, but in such a compassionate, often witty way that the reader feels encouraged rather than squashed by the information provided. 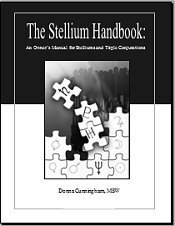 The core aim of the book is to help stellium folk find their ‘mission’ in life, as revealed by the stellium’s planetary composition and location in sign(s) and house(s), and ‘to focus on that in a more constructive way’, with the emphasis on self-help throughout. She does this very thoroughly and effectively: first defining what a stellium actually IS, then with the aid of various worksheets, leading the reader through detailed analysis and weighting – in order of significance and impact – of the major planet/sign/house/Angle/Node combinations. Want to find out what the ‘Alpha Dog Planet’ is, to give one example? Then check out Chapter 10 which presents the ‘Story Arc and Cast of Characters’ in your stellium. 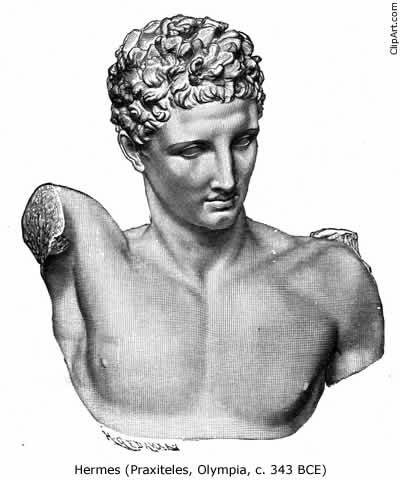 The book is abundantly amplified with fascinating case material: from motivational speaker Nick Vujicic who was born without arms and legs, to actor Johnny Depp, Prince William of the UK, and a range of real-life examples drawn from readers and commenters on Donna’s Skywriter blog as well as the many articles to be found there. The pdf format of the book enables readers to click through to a pleasing range of relevant back-up material from Donna’s many books, as well as blogs and internet sites which will help to deepen and widen one’s knowledge base. As an experienced practitioner, the chapters I found most useful were 12 and 13. Chapter 12 lists and discusses the five outer planet conjunctions between 1960 and 2010, including the Uranus/Pluto which dominated the 1960s, and the Uranus/Neptune which dominated the 1990s, both marking whole generations of people born under them. Chapter 13 presents and analyses – complete with a useful fact sheet – the ‘Capricorn Stellium Generation,’ born under the ‘rare and powerful super conjunction of Uranus, Saturn and Neptune in Capricorn’ illuminating how it affects the lives of people born with it. Chapter 14 pulls the whole book together, guiding the reader through how to get the most out of their stellium or triple conjunction. Topics covered include ‘Doing a Research Project on your Stellium’ and ‘Four Books that will Kick your Manifestation Mojo into Overdrive’. There is a wealth of reference material throughout the book in the form of work and fact sheets, e.g. a Transit Tracking Table from 1990-2020, which will prove of great practical value both to astrology students and teachers. Donna Cunningham is a truly generous practitioner who has shared her knowledge in so many ways over the years with countless clients, students and fellow astrologers. This fine book, the latest addition to her abundant astrological output, is an essential reference work for all astrologers’ libraries, one to which they can return time and time again as they encounter clients who are trying to come to grips with one of the most challenging, and potentially rewarding, of all astrological patterns: the stellium. 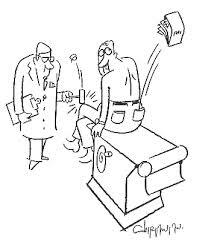 Posted in 02 - New Posts: January 2014 onwards, Astrology Article Archive 1 – "Not the Astrology Column"
It’s that backwards time again – Mercury goes retro tonight! 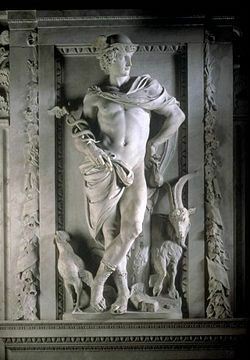 Mercury – isn’t he gorgeous?